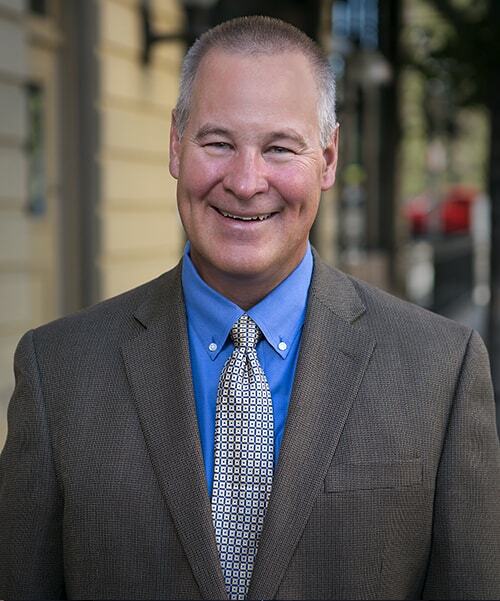 Todd R. Startzel has over 30 years of litigation experience. His active litigation practice focuses primarily on areas of insurance defense, construction defect, product liability and multi-party complex litigation. Mr. Startzel’s diverse litigation experience spans a breadth of claims from defending manufacturers of consumer products and food contamination cases to defending motor vehicle drivers of both passenger and commercial vehicles. These cases range from, among many, personal catastrophic injury to wrongful death and traumatic brain injury, as well as defending landowners in a vast array of premises liability cases, such as slip and falls, over-service of alcohol, timber trespass, defamation and civil rights cases. Mr. Startzel has tried to verdict 48 civil jury trials in Washington and Idaho. He has also argued over 30 appellate cases in both Washington and federal courts. Mr. Startzel is a volunteer instructor for the Spokane Mountaineers and Spokane Mountaineers Mountain School. He is also a volunteer marshal for Spokane Hoopfest and a volunteer for the Spokane Neighborhood Action Partners (SNAP). He is married with two grown children. Defense of Washington State University (WSU) in a case involving a university professor that sustained a severe traumatic brain injury. Plaintiff alleged the WSU failed to protect him from reasonably foreseeable criminal conduct. Plaintiff’s pre-suit demand was in excess of $10 million. Mr. Startzel was successful in having the case dismissed on summary judgment. Defense of an at-fault automobile driver in a personal injury case where the plaintiff allegedly suffered severe traumatic brain injury rendering her unemployable. Plaintiff had previously been employed as a healthcare worker. Plaintiff demanded, prior to trial, $1.5 million and asked the jury at trial for a $3 million verdict. The jury returned a verdict of $82,500. Defense of a tavern owner involving allegations that security personnel assaulted and broke plaintiff’s leg. Plaintiff had been employed as a construction worker. Plaintiff’s last demand, prior to trial, was $750,000. The jury returned a defense verdict. Defense of a grower of sprouts in an E.coli case involving multiple litigants. The total claims asserted were in excess of $1 million. Mr. Startzel was successful in settling each claim for a nominal amount after initial discovery. Defense of restaurant/bar in alleged over-service of alcohol and lack of adequate security. Plaintiff suffered a broken jaw and permanent head trauma. Plaintiff requested over $2 million at trial. The jury returned a defense verdict.